Come one, come all to The Greatest Showman. Inspired by the creation of the Barnum & Bailey Circus, young P.T. Barnum has always had an eye for imagination while aspiring to make it to the top—even if it means having to scam others to do so. 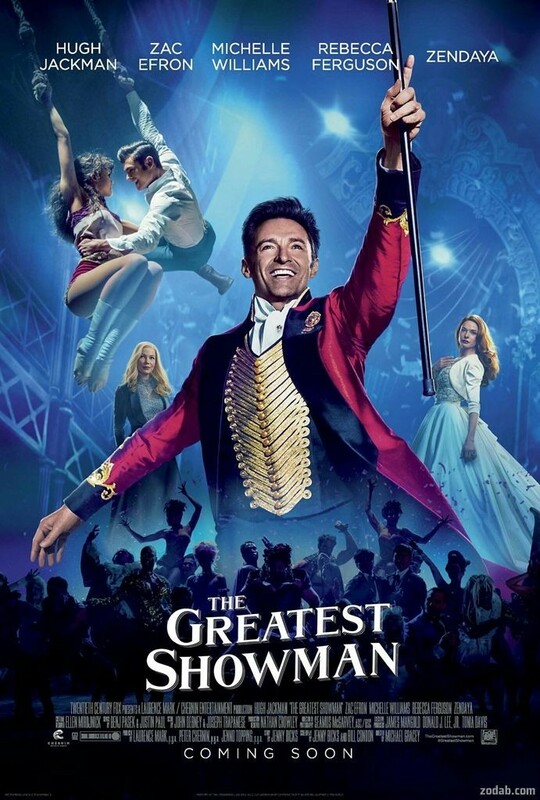 After marrying his childhood sweetheart and attempting to raise his family, Barnum embarks on his endeavor to create the greatest show the world has ever seen made up of unique and freakish performers while battling poor reviews, angry protesters, and the need to feel accepted by society. With his partner Phillip Carlyle by his side, Barnum quickly learns that risking everything he has may not be the best business strategy, and that stardom is not all it is made up to be. 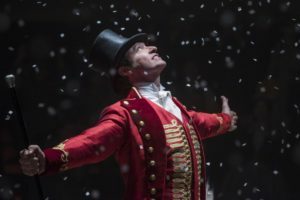 The Greatest Showman is stunning and entertaining, despite its flaws. Best known for providing the music for “La La Land,” Benji Pasek and Justin Paul lend their musical talents once again for this film, and it certainly did not disappoint. Not only is the music captivating, but also very endearing and beautifully performed as each song uniquely stands out as their own. It comes as no surprise the title song “This Is Me” won the Golden Globe Award for Best Original Song and was nominated for Best Original Song for the 90th Academy Awards. Although Barnum was notoriously known as a conman in real life, Hugh Jackman’s portrayal of him is so charming that it is hard not to love him every time he is on screen. This proves once again how great an actor Jackman is along with his love for musical theater that radiates his heart through the role. Zac Efron and Zendaya were also fantastic and very likable while their onscreen romance really shined during their musical number “Rewrite The Stars.” The rest of the ensemble was also delightful, providing amazing performances. While dazzling in the music and cinematography category, the film does stumble at times with its lack of character development and plot. A visionary film from beginning to end, The Greatest Showman is a musical spectacle that celebrates the birth of showmanship and embracing your true identity. Having taken seven years to make, the film feels very rushed at times. Potential character backstories with inner struggles of being different and outcast were missed. One could say the film was entirely too focused on the musical and creative aspect that it forgot to really dive deep into the main story as a whole. Nevertheless, the theme of accepting yourself for who you are and not falling into the normality and pressures of society is done quite well.